Background:The Climate and Clean Air Coalition Municipal Solid Waste Initiative (Waste Initiative) is an international partnership focused on reducing methane, black carbon, and other pollutants emissions from the municipal solidwaste sector. The Waste Initiative launched a Network of Southeast European, Middle Eastern, and Central Asian Cities in March 2018 at a workshop in Novi Sad, Serbia. The network, which is implemented by the Serbian Solid Waste Association (SeSWA), focuses on fostering informational exchange and outreach to municipalities in these regions while responding to the demand for knowledge on improved waste management techniques that reduce short-lived climate pollutants.Objectives:This second workshop will consolidate learning from the first workshop and help move concepts towards implementation. It will do this by connecting representatives from cities participating in the regional network withfinancial institutions, donors, and grant-making institutions in an interactive format, thus enabling cities to: Build on previous discussions about strategies designed to promote uptake of new technologies, updating of existing infrastructure, and modification of existing waste management practices.Share information about barriers and opportunities to use internal revenues to enhance the financial sustainability of waste management systems.Learn about opportunities for improving their readiness to access financing from external sources, and understand the processes involved in working with those sources.Participants:The workshop will include cities that participated in the March workshop, plus a select number of others from the SEE, Middle East, and Central Asia regions. Participants will include representatives of local self-government in charge of waste management, technical staff of waste management units, and landfill managers and operators.The workshop will also include participants from international and regional institutions that offer financial support for the implementation of these projects and associated strategies. A strong emphasis will be placedupon making this a participant-centered activity, one that is designed to impart knowledge while offering a direct exchange between cities and lending institutions.Format:This event will build on the action planning activities that were the focus of the March workshop. City representatives will present action plans to highlight priority areas for waste management investment. Using theplans as a foundation, cities will then interact with financial, donor, and grant-making institutions and technical experts to identify opportunities to advance the projects towards implementation. The workshop will involve acombination of technical presentations, case studies, interactive panel discussions, small group work, and matchmaking sessions to convey concepts and establish connections between workshop participants and financialinstitutions. This UN Environment Assembly side event will focus on the importance of financing and developing locally appropriate, safe and sustainable waste management solutions for low income and lower-middle income economies. Furthermore, emphasis will be given to better communications and awareness-raising in order to tackle the problem at source by influencing consumption and production habits. 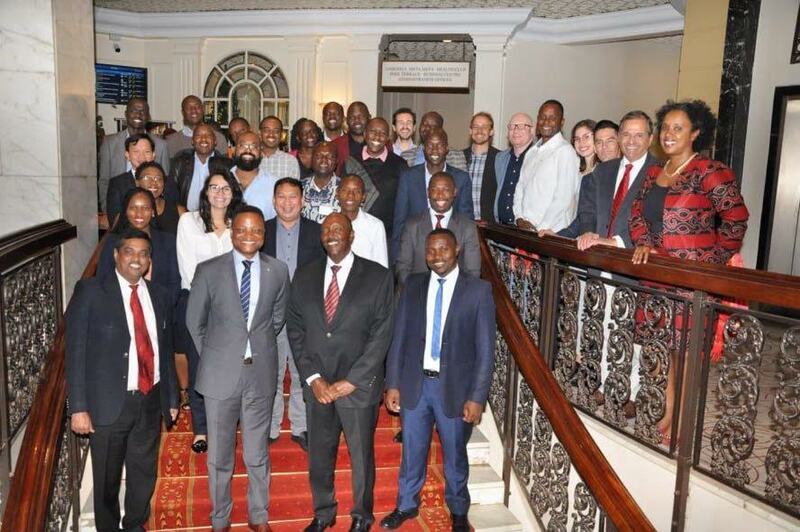 In December 2018, the Municipal Solid Waste Initiative promoted a workshop hosted by the city of Nairobi, Kenya, to mark the launch of the Sub-Sahara & East Africa City Network. The workshop was a manifestation of the renewed partnership between C40 and CCAC, where 14 cities from both the C40 Sustainable Waste Systems Network and the newly launched CCAC Municipal Solid Waste Initiative Sub-Sahara & East Africa City Network participated.It represented a rare opportunity to bring together city experts from core areas of the global South, to develop in-depth insight and experience sharing on solid waste management topics that are of common interest among participating cities.Stronger relations were established between these cities and a strong momentum was built to work together on key topics that will support the overarching objective of achieving universal collection and safe disposal of municipal solid waste, reducing greenhouse gas emissions linked to this sector. The Climate and Clean Air Coalition's Municipal Solid Waste Initiative was launched in 2012 to assist cities and municipalities reduce short-lived climate pollutant (SLCP) emissions from waste management. Organizing and leading workshops involving city representatives have been one of the initiative’s key capacity building activities.During the Coalition’s High-level Assembly meeting at COP 23 and through the Bonn Communique, the Coalition Partners resolved to develop policies and measures that encourage national, state, and local governments to work together with the private sector to reduce SLCP emissions from municipal solid waste and create healthy cities and communities. The commitment places a particular emphasis on the following workstreams:Preventing and reducing food loss and waste, including by setting up integrated solid waste management systems oriented towards resource and energy recovery;Diverting organic waste from landfills;Adopting measures to capture and use methane from landfills; andReducing the open burning of waste, while working towards achieving universal waste collection by 2025.The Coalition Partners have tasked the Waste Initiative with helping to fulfill these commitments. As part of this effort, the Waste Initiative is conducting a capacity-building session for stakeholders in Asia that will present best practices in each of these workstreams.The three and a half-hour session will take place during the 2018 ISWA World Congress in Kuala Lumpur. The session will include numerous technical and policy-focused presentations interspersed with case studies, organized as follows:An overview presentation will frame the session by providing information on the motivation for reducing SLCPs from the waste sector, the Coalition’s role, and the Waste Initiative’s efforts to date.The next series of presentations will focus on policies, strategies, and technologies for diverting organic waste from landfills. In addition, the session will include a deeper dive into food waste reduction approaches to keeping organic waste out of landfills.This will be followed by a series of presentations that focus on managing landfills, with a key focus on capturing and using landfill gas.The final portion of the session will focus on preventing the open burning of waste through improved waste collection coverage and efficiency.The presentations can be downloaded using the links below.